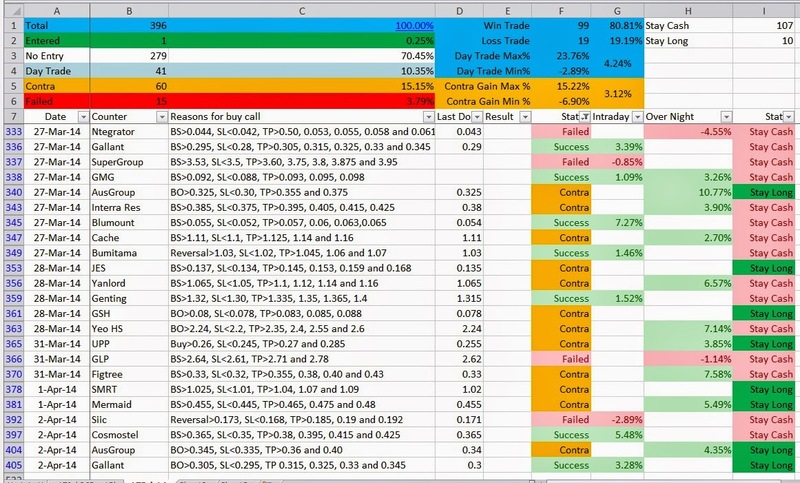 Here is the summary for SGX Day Traders Daily Buy calls (Case Study only for members) and performance summary so far. We are pure day trader, aim to buys and sells stocks and ends the trading day in cash with no open positions. However in reality and often a position may held overnight or for several days, it's called contra trade or swing trade . We usually trading with both approaches, depending on market timing, Sentiments etc. Interested to join our FREE Trial? Please click and fill up this form for the worth of S$200 trials for one week. Seats are limited, First come first serve. Thank you.